Quite possibly the most famous wildlife reserve in the world, Kenya’s Masai Mara National Reserve offers breathtakingly beautiful landscapes and unrivalled game viewing all year round. From July to November, the Masai Mara Reserve plays host to the spectacular Great Migration, when vast herds of wildebeest plunge across the Mara River on their quest for fresh grass, braving Nile crocodile in the rivers and hungry lion, cheetah and leopard on the other side. 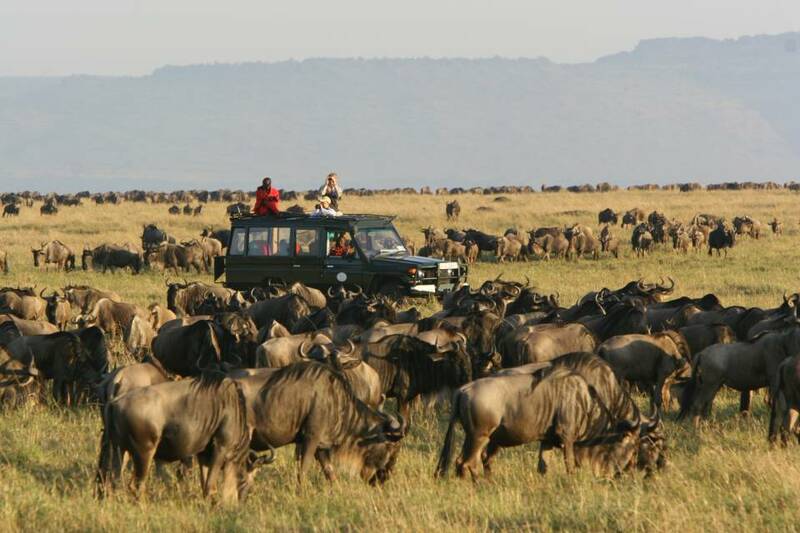 A Masai Mara Migration Safari is on almost everyone’s Bucket List! Covering an area of around 1 500km², the Masai Mara National Park forms the northernmost part of the Greater Serengeti-Mara ecosystem. 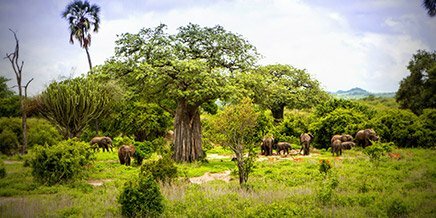 It is home to Africa’s Big Five – elephant, buffalo, lion, leopard and rhino – and also hosts high concentrations of big cats. This makes for spectacular predator/prey interactions: witnessing this heart-stopping wildlife action first-hand is visceral. Often used as a backdrop for some of television’s most exciting wildlife documentaries, a Masai Mara Safari is high on most Kenyan safari wish lists and it most certainly won’t disappoint. 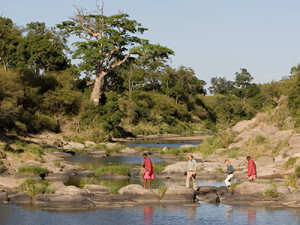 Guests and guides crossing the Mara River during a walking safari. 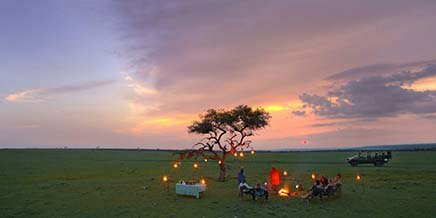 The Masai Mara Game Reserve – named after the Maasai, the ancestral inhabitants of this region – is a small part of the Greater Mara ecosystem. When first established in 1961 as a wildlife sanctuary, the Masai Mara covered only 520km². Today it extends over about 1 500km² to form the northernmost section of the Mara-Serengeti ecosystem, a massive 25 000km² section of Kenya and Tanzania. 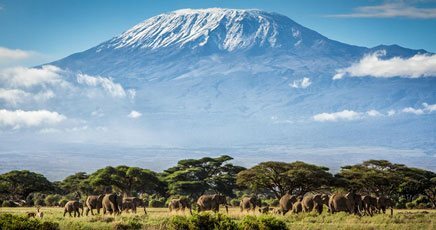 Joining up with Tanzania’s Serengeti National Park in the south, the Masai Mara is surrounded by the Siria escarpment to the west and Maasai pastoral ranches to the north, east and west. Much of the reserve is covered in rolling grassland plains, with the primary water source being the Sand, Talek and Mara rivers. Clumps of acacia trees dominate in the southeast. Wildlife tends to concentrate in the west, where access to water is good. 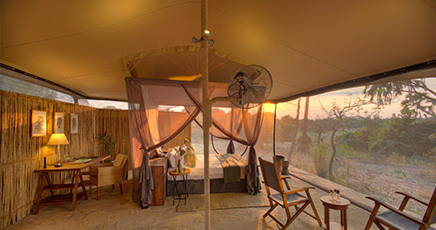 The Greater Masai Mara region is a vast area comprised of the Masai Mara National Reserve to the south, bordered by numerous private conservancies. These conservancies have added vital strategic buffer zones to these ensure the protection of these ancient wildlife migration corridors. 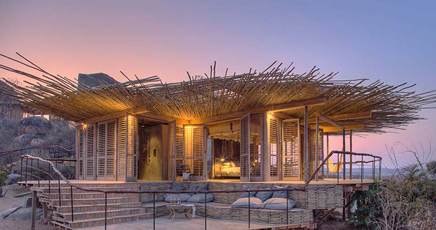 Asilia’s properties in the Greater Mara region are located in the Masai Mara Reserve, the Mara North Conservancy and the Mara Naboisho Conservancy. Private conservation areas are vital strategic buffer zones for the Maasai Mara National Reserve and wildlife migration corridors. Conservancies established on the borders of the Masai Mara National Park include Enonkishu, Ol Chorro, Lemek, Mara North, Motorogi, Olare Orok, Ol Kinyei and Mara Naboisho. Established not only to conserve the environment and wildlife (by limiting incompatible land usage, such as wheat farming, charcoal production and subsistence agriculture), they also protect and empower the local Maasai community. Visitor and vehicle numbers in the conservancies are carefully controlled, which makes for an exclusive, game-rich safari experience. 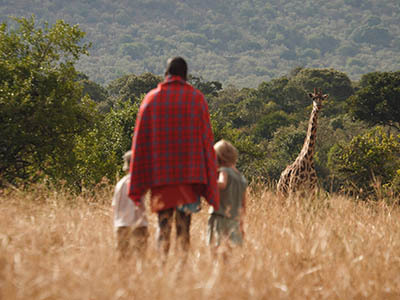 Mara Maasai guide takes children on a walking safari. A true wildlife haven, the 210km² Mara Naboisho Conservancy has a higher density of game than the adjacent Maasai Mara National Reserve. It also has one of the highest lion densities in the world. Because such a healthy lion population is not possible without an equally healthy wildlife food chain below it, you can expect astounding game viewing. 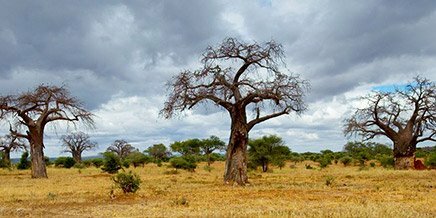 Impressive numbers of giraffe, wildebeest and zebra – as well as 266 bird species – also call the area home, and sightings of the rare and elusive African wild dog are frequent. 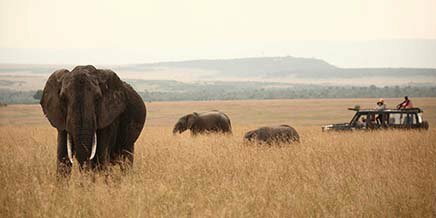 Elephant are so abundant that National Geographic recently filmed a documentary here in the conservancy about these beautiful giants. 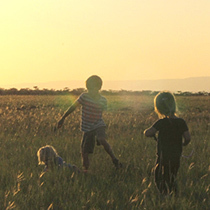 In addition to the abundance of resident game, the Mara Naboisho Conservancy serves as a vital migration corridor for the little-known Loita Migration. This sees up to 5 000 wildebeest and 1 000 zebra move though the area annually from the Mara Reserve to the Loita Plains in the east. 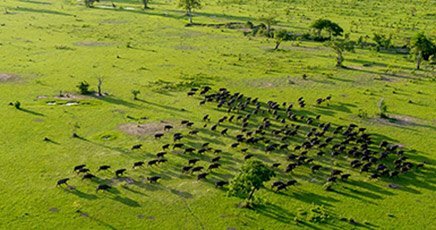 The existence of the Mara Naboisho Conservancy ensures that ancient migratory cycles and patterns are left undisturbed. 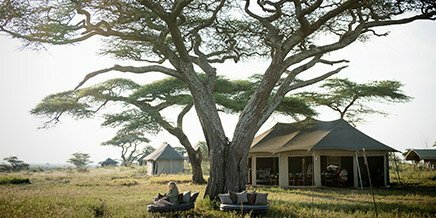 While the charm of the Mara Naboisho Conservancy is its exclusivity, the philosophy of the conservancy is refreshingly inclusive. Spearheaded by Asilia in 2010, the Mara Naboisho Conservancy is a groundbreaking ecotourism initiative that benefits both conservation and the local Maasai community. 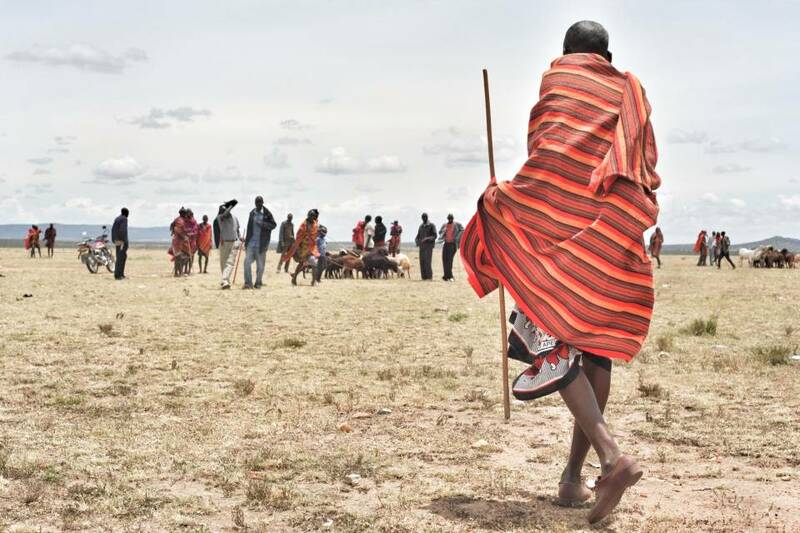 The area is made up of land contributions from 500 Maasai landowners: when you visit here your conservation fee plays a part in protecting the cultural heritage of the local Maasai and improving their access to vital services. The conservancy management has set up a controlled grazing plan for landowners’ cattle, moving from one area to another during different seasons to eradicate hard wiry grasses and encourage new growth. This also creates immeasurable goodwill with the cattle owners as they are provided with good grazing while easing the pressure on the grasslands outside the conservancy. 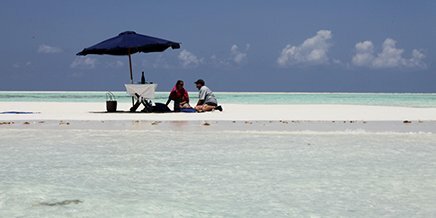 This innovative ecotourism project offers a unique model of partnership and joint decision-making that is innovative and effective. Much has been achieved: over 300 new jobs, incomes to over 500 Maasai families and further indirect benefits to approximately 10 000 people. At Asilia, we believe that this will be the future of conservation. 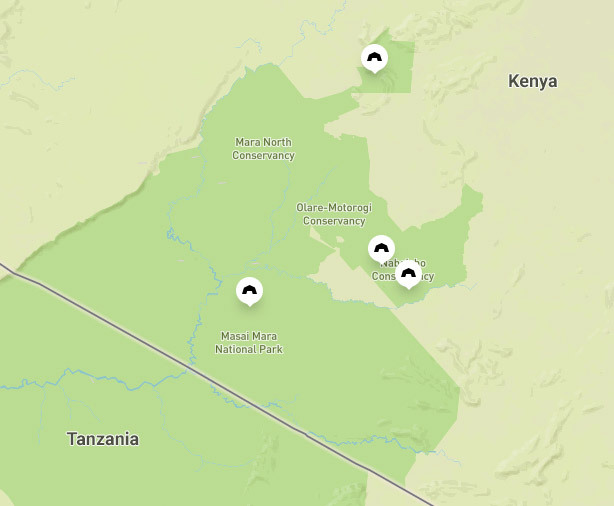 The Mara North Conservancy (MNC) is a private wilderness area covering over 300km². It borders the Maasai Mara National Reserve and forms the northwestern zone of the Maasai Mara ecosystem. 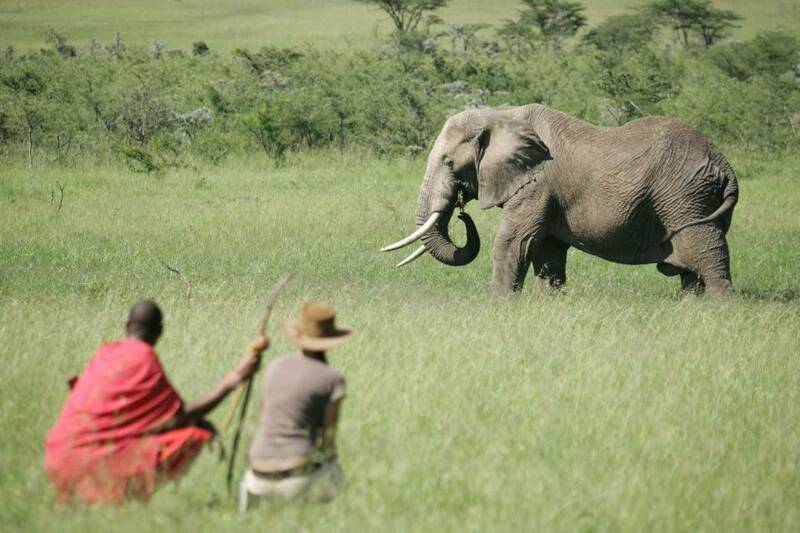 Mara North is a partnership between 12 member camps and 788 Maasai landowners. 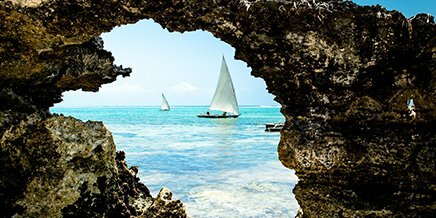 The aim is to create a best-practice, world-class conservancy with long-term commitments to the environment, wildlife and local communities. It sustains a dense and varied wildlife population. Leopard Gorge is a vital birthing and maternity ground for the big cats made famous by the BBC’s ‘Big Cat Diary’, while the scenic Lemek Hills are an important refuge for the endangered African wild dog. 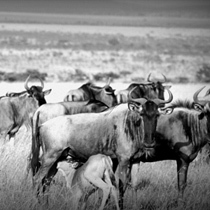 During the Loita Hills migration (December to May), thousands of local wildebeest come to the Mara North Conservancy. 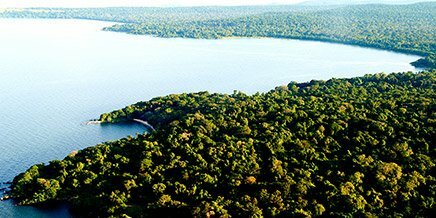 Very low-density tourism and vehicle numbers minimizes environmental impact and assures visitors of an extraordinary wilderness safari. 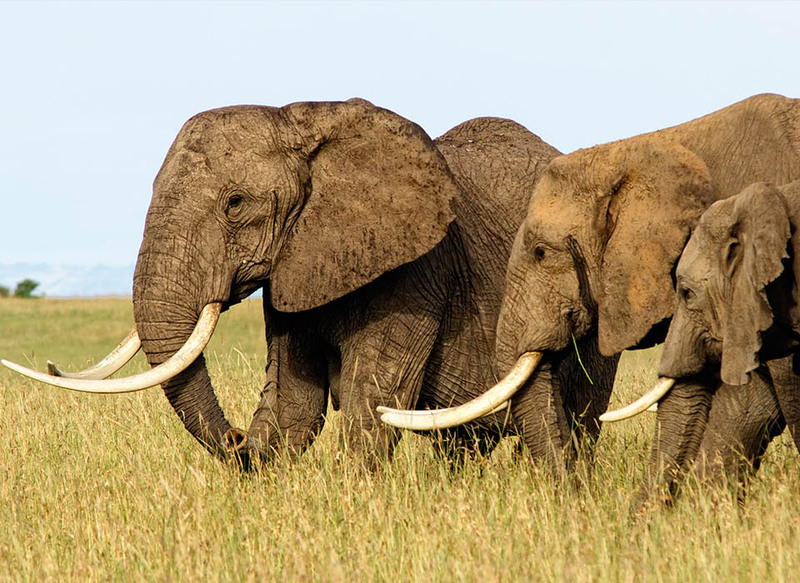 The Olare Orok Conservancy – which covers 35 000 acres (14 163 hectares) – is a strategic buffer zone for the Maasai Mara National Reserve and the wildlife migration corridors. A partnership between 277 Maasai landowners and partner camps, it encompasses a critical wildlife conservation area of outstanding beauty including the remarkable Ntiakitiak Gorge and a beautiful 12km-long escarpment. Prime grasslands, riverine forests and extensive Acacia woodlands sustain good populations of both predators and herbivores, including many elephants. Rhino and wild dog have been sighted in the area occasionally. 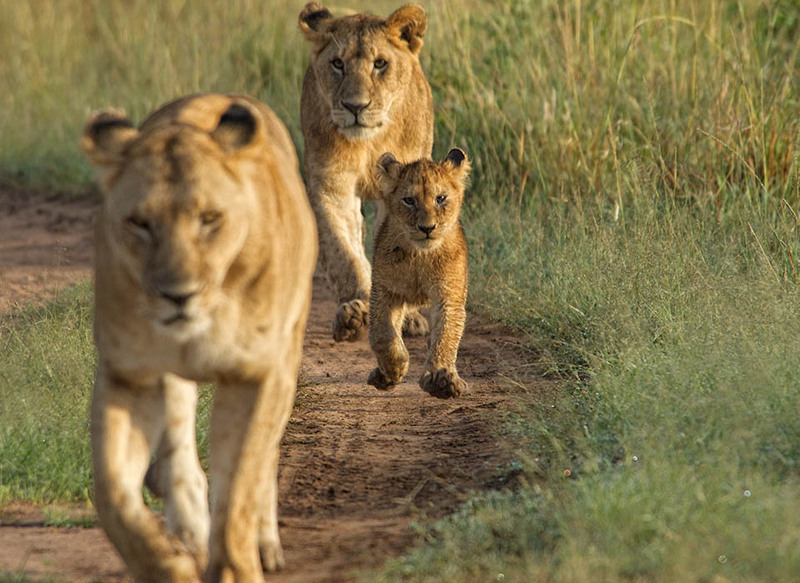 The three resident lion prides are flourishing: the Moniko pride is headquartered at headquarters on Moniko hill, while the Enkoyanai pride dominates the western half of the conservancy. The smaller Lokuro pride resides closer to the northern boundary. 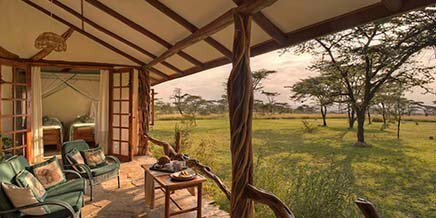 As you would expect from one of the world’s most visited game reserves – home to over 95 animal and 450 bird species – wildlife and game viewing in the Mara is exceptional year round. 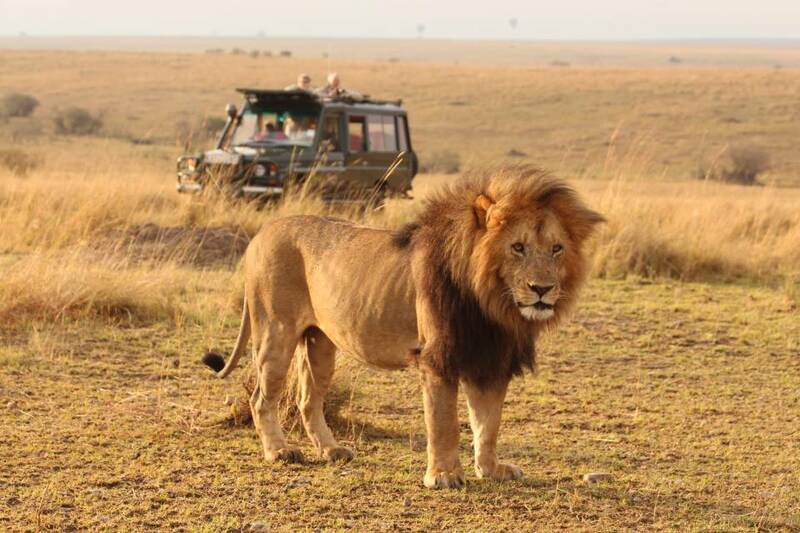 The reserve possesses the highest density of lion in Kenya and the prides are widely known to most guides. 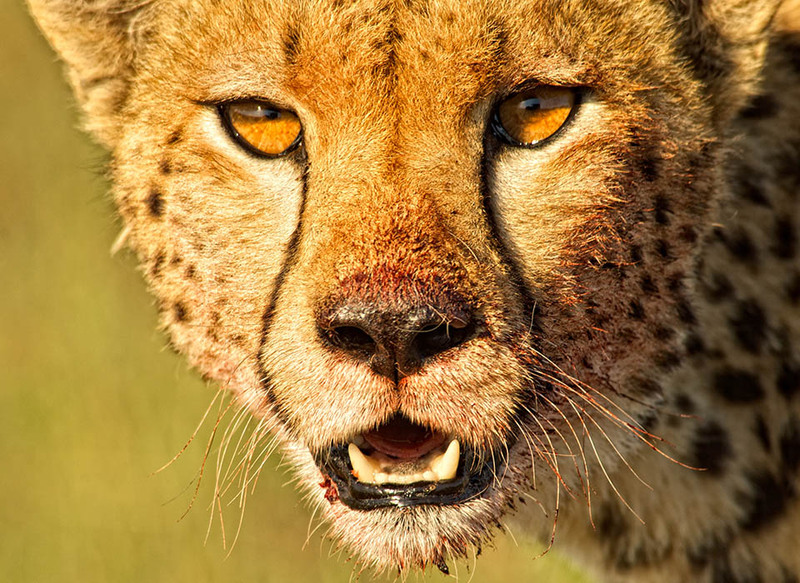 Other predators in the area include leopard, cheetah, spotted hyena, black-backed and side-striped jackal and the rarest of them all, the elusive African wild dog. Plains game are well represented with Thomson’s and Grant’s gazelle, wildebeest, zebra, oribi, Coke’s hartebeest and eland, as well as a small population of roan antelope, rarely found in the other parks in Kenya. And not forgetting the elephant and buffalo, often found in the acacia woodland, the black rhino hiding in the dense thickets and a large population of hippo wallowing in the swampy rivers. 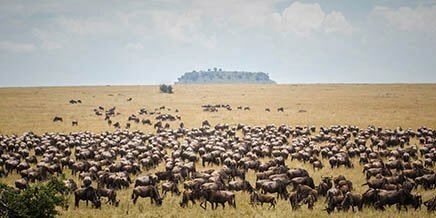 Every year, the concentration of wildlife is swelled when the Mara plays host to the Great Migration between July and October and millions of wildebeest and hundreds and thousands of zebra and gazelle arrive on the plains. Typically the herds continue their journey south into the Serengeti in November but have been known to stay in the Mara into January. Birding in the Mara is fulfilling and rewarding, with an impressive 450 species present as well as a high number of birds of prey. 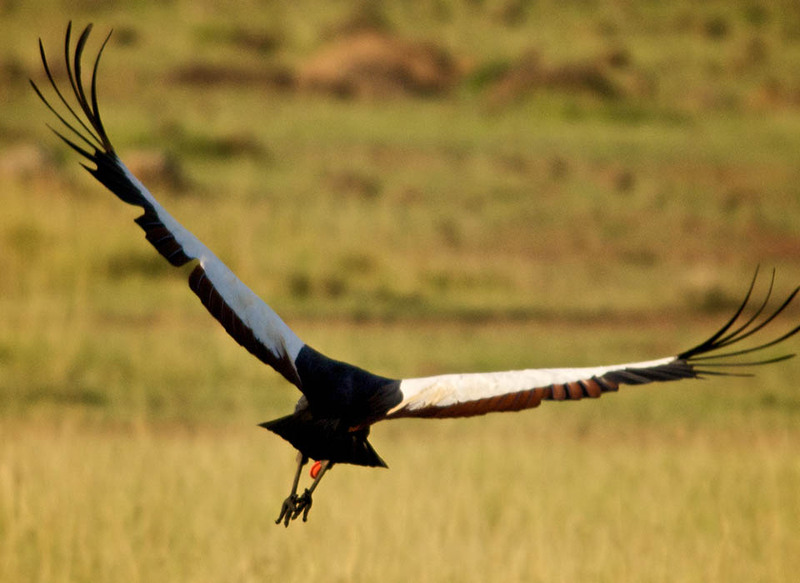 The river areas host kingfishers and the stunning Pels’ fishing owl, while secretary birds and ground hornbills can be seen dotted over the plains. Exceptionally dense numbers of game, carefully controlled visitor numbers in the conservancies and a pristine and iconic African landscape make the Greater Mara one of the most rewarding safari destinations there is. 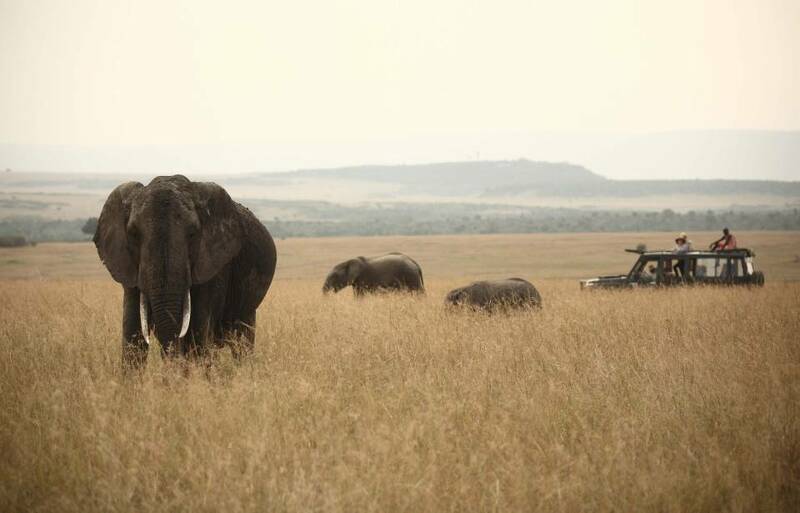 The greatest luxury of the Mara conservancies is the exclusivity and freedom they offer. 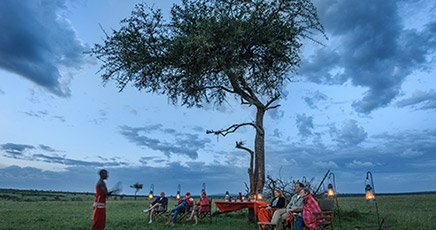 In many of them you can explore the world-famous Maasai Mara ecosystem on foot, by vehicle and at night – freedom that is just not possible in the strictly regimented and relatively crowded Mara Reserve itself. Nothing beats the exhilaration of tracking and then finding that elusive animal. Asilia trains its guides to the highest standards and has a selection of open and closed vehicles (with rooftop hatches) to ensure everyone has a window seat to enjoy the action. Daily morning and evening game drives get you right up close to the myriad species that call this wilderness home. Game drives take in the conservancies or the adjoining Masai Mara Reserve. When the sun descends, the elusive night animals come out to play. Explore the secrets of these elusive creatures on a night game drive in the Mara conservancies. Watching the herds of wildebeest plunge into the crocodile-infested river and run the gauntlet of lion waiting on the Kenyan side of the river is an awe-inspiring spectacle and one not to be missed. 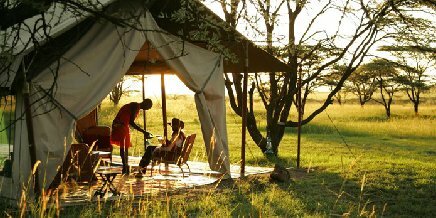 Rekero Camp and Topi House (Mara Bush Houses) are perfectly located for an in situ experience of the river crossings, but visitors to all our Greater Masai Mara camps have access to Great Migration crossings at certain times of the year (usually these would be a maximum of 90 minutes’ drive away). With over 400 lion in the reserve, you will never be far from a pride. Given the cats’ curious nature and a backdrop of brilliant sky and green grass, you will find that photographing them is fun and rewarding. 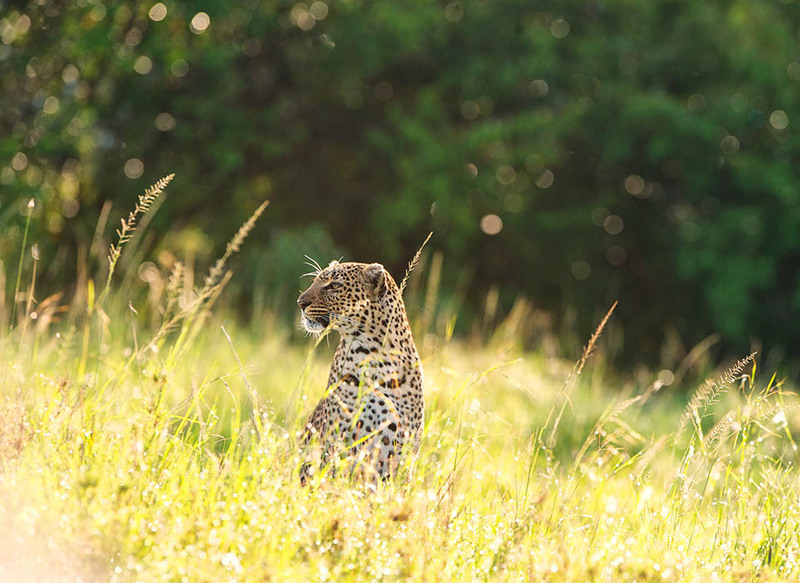 It is also possible to learn about protection initiatives for the Mara’s big cats from a Kenya Wildlife Trust researcher (bookings essential). Make every minute count: for uninterrupted game viewing, take along a delicious packed breakfast or picnic lunch to enjoy in a shady spot in the heart of the bush. 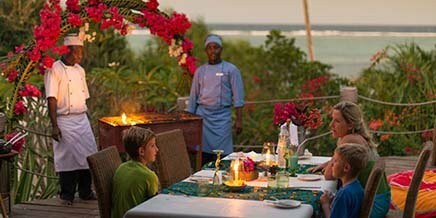 Dinner can also be arranged out in the bush for an unforgettable dining experience under the African night sky. 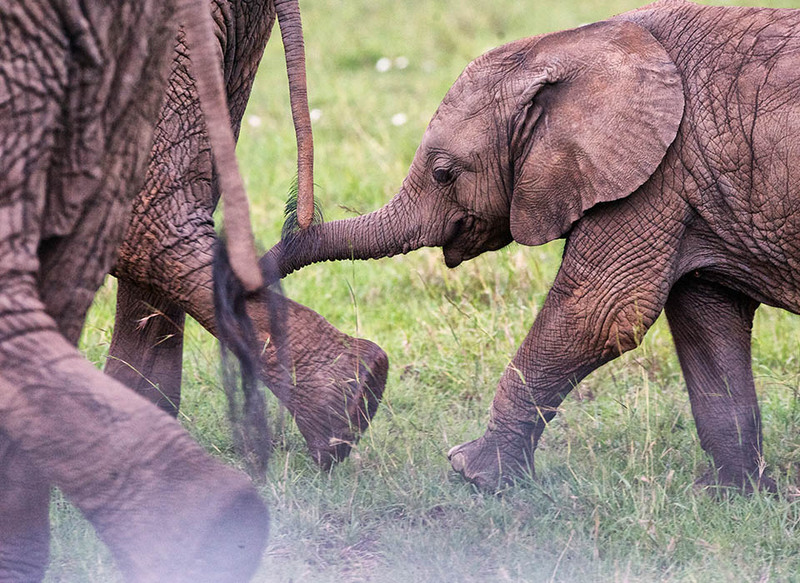 Walking is one of the most intimate ways to experience wild Africa. 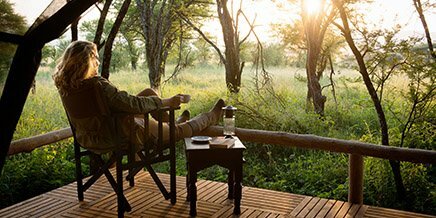 Heighten your senses to the sights, sounds and smells of the African bush on a leisurely one- or two-hour walking safari. 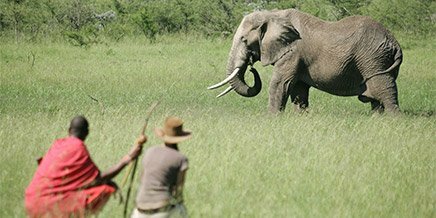 It is likely that you will get close to larger mammals with Asilia’s experienced walking guides, but this is really the perfect chance to take a closer look at the little things. While your game drives will acquaint you with the Big Five, a bush walk will introduce you to the subtle beauty of Africa’s Little Five – the elephant shrew, buffalo weaver, leopard tortoise, ant lion and rhino beetle – as well as birds, butterflies, trees and plants. This is the perfect opportunity to understand the bush on a deeper layer. 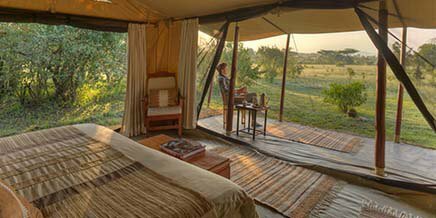 Walking safaris take place within the Mara Naboisho Conservancy – please enquire about these in advance to ensure availability. 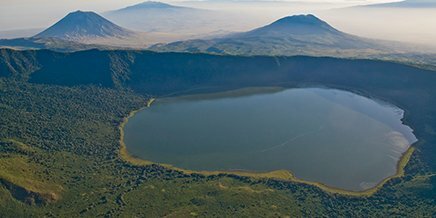 Mara Naboisho Conservancy is free of the restrictions of many national parks in Kenya. 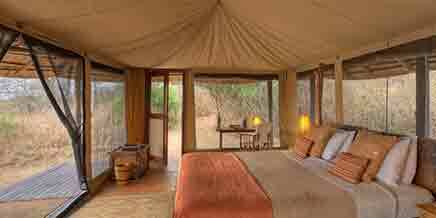 Naboisho has a licence to allow fly camping within the conservancy boundaries. 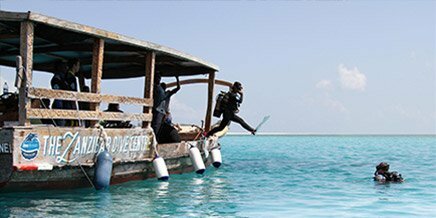 Fly camping is a highly adventurous and private experience. 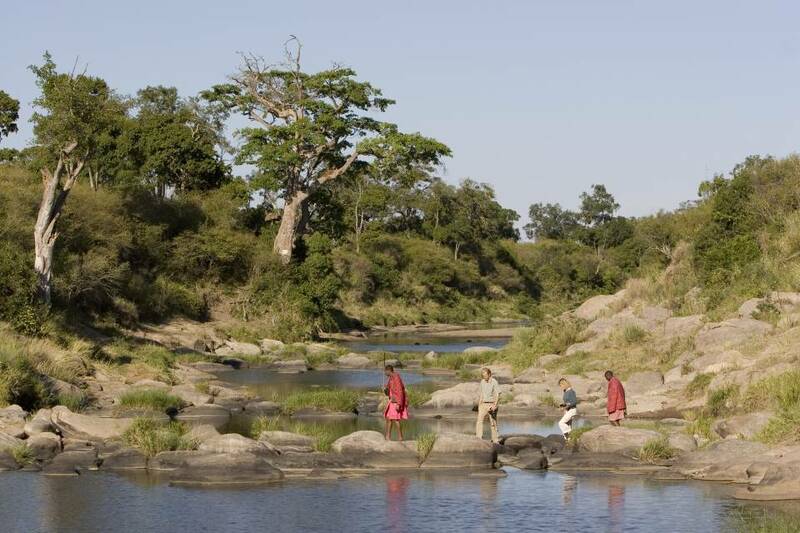 You are accompanied by an armed guide and spend the afternoon walking to the fly camp. This provides a special opportunity to get a grasp on what is happening in the Mara ecosystem. Your tent comes fully set up, with enough room to stand, windows on three sides and a veranda in the front with an awning. Headlamps, camping chairs and a camping table are also supplied. For showering, nothing comes close to the hot bucket shower hanging in a tree with a view. A short-drop safari toilet is also provided. 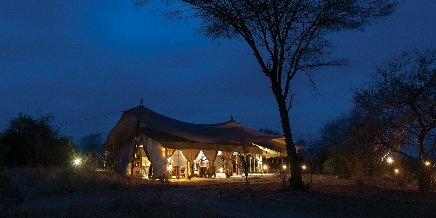 Although you’ll be spending the night away from the main camp, your safety remains Asilia’s prime concern and the armed guide and camp hands ensure that you can sleep soundly. 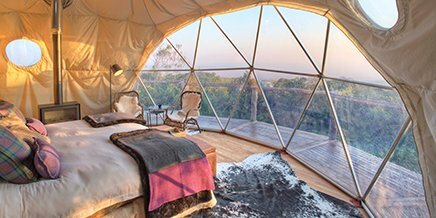 If their presence isn’t enough to comfort you, the large canvas dome tent, foam mattress, quality linen, cushions and hot-water bottles will make drifting away to a relaxed sleep an easy endeavour. 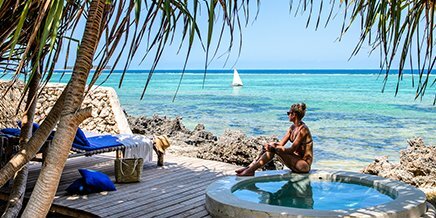 If you have an adventurous spirit, are looking for something out of the ordinary and are willing to push beyond your comfort zone, few life experiences can compare to sitting under the stars at night after a hot shower and a great meal, listening to the night sounds and merging with nature in an exceptional way. The culture of the Maasai – the natural guardians of this land – is both complex and fascinating. Many of our guides are drawn from the local Maasai communities and are landowners in the conservancy. They are always eager to share their culture and way of life with interested guests – time spent with the local guides in their home communities is a rich and rewarding experience, often the most memorable moment of a safari here. 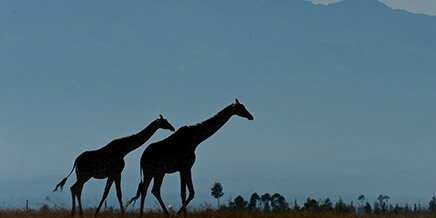 Glide over the rolling plains of the Masai Mara and the neighbouring conservancies on a romantic and serene hot-air balloon flight, and see the wildlife below from a different perspective. Accessible from Rekero, Naboisho and Encounter Mara. Before you decide when to safari in the Masai Mara, you need to consider your primary motivations for visiting. 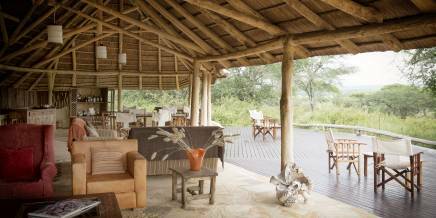 The area provides a superb all-round wilderness experience with excellent game viewing throughout the year. However, if you are specifically seeking a front-row seat to the Great Migration, the best time to visit is from July/August to November. 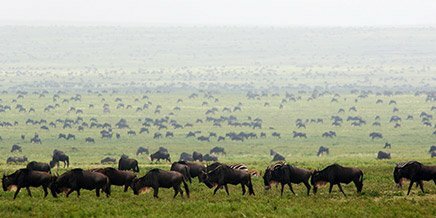 Peak season for extraordinary viewing of the annual wildebeest migration is from July/August to November. Wildlife movement varies slightly from year to year, depending on rainfall and consequent availability of pastures. Migration viewing is accessible from all our camps in the region. 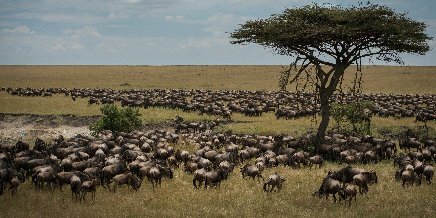 Nomadic Camp, Rekero Camp and Topi House (Mara Bush Houses) offer unbeatable viewing of the annual Great Migration from the camps themselves. The location of our mobile Nomadic Camp is based on the seasons, an intimate knowledge of the region and the movement of the animals. A major crossing of the Talek River is just 150 metres from our dining platform at Rekero, and Topi House is also situated right on the wildebeest migration route. While the annual wildebeest migration is awe-inspiring, those in the know also savour the magnificent game viewing during ‘connoisseur’s season’ once the great wildbeest herds – and the tourists that follow them – have moved off and you can safari in blissful solitude. Seasoned safari travellers appreciate the peace, exclusivity, wide open spaces and superb wildlife sightings that can be experienced outside high season: the reserve is home to large numbers of predatory cats, some of the last remaining free-roaming black rhino in East Africa, the rare African wild dog and most other African wildlife species, as well as more than 500 recorded bird species. The Masai Mara is at an altitude of 1 500 to 1 900 metres above sea level just south of the equator. 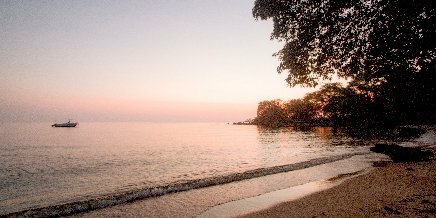 Daily temperatures are pleasantly warm to hot, with a big variance at night, when temperatures call fall by as much as 10˚C. June to August is the coldest time of year. Warm kit and layers are essential for early morning game drives. December to February is the warmest time of year, with temperatures reaching an average maximum of 28ºC / 82ºF. There are two main rainy seasons: the long rains (about six weeks) between March and May, and the short rains (two to three weeks) that usually take place some time between the end of October and December. The heaviest rains fall from April to May, which is why many of our camps are closed over this time. That said, the Mara can experience afternoon rain showers and thunderstorms year round. Average annual rainfall is about 1 400mm a year, and heavy rains can cause flooding. Outside the rainy seasons, the days are usually clear and sunny, with afternoon showers clearing quickly. The Greater Masai Mara is an extension of the Serengeti plains of Tanzania. 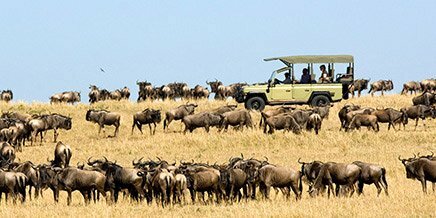 Spanning the Maasai Mara National Reserve and adjoining Community Conservancies the area is intrinsic to the Great Migration that attracts 2,000,000 wildebeest, 500,000 Thomson’s gazelles and 250,000 zebras each year. Rich in wildlife and cultural importance the area is vulnerable to cattle grazing and human population expansion. 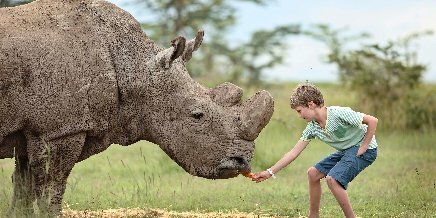 Naboisho Conservancy is making waves for all the right reasons.